CalExpress will provide your company with a same-day solution for all your delivery needs. 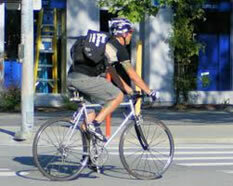 Uniformed, bonded professional messengers will expediently complete your requests with guaranteed on-time delivery. Customer satisfaction is our measure of success. “CalExpress is amazing! They are fast, courteous and fairly priced."